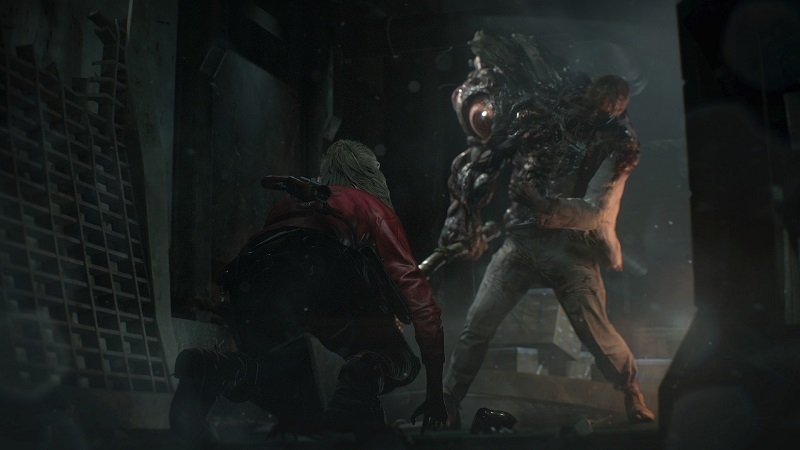 By its nature, the Resident Evil franchise can be termed as brutal, given all the zombies think of you as dinner on legs and can come at you with an apocalyptic appetite. You do have a few things to save yourself from an oncoming onslaught of zombies to protect you but they can be a bit tedious to find at times. What you need at this moment is thoughts of clarity and a bit of ingenuity (plus lack of mobility on the zombie’s part) to make sure you successfully save yourself and get the hell out of this zombie infested Racoon City. You will need to do the following if you see yourself being chased by a zombie. If a zombie or horde of zombies are chasing you one of the best thing you can do is climb a ladder. It will disorient the zombies and they will stop in their tracks while pursuing you. Take this moment to think of your next plan of action. Find a weak spot in the wooden flooring and you can deliberately crash down to the floor. The zombies will stop chasing you and let you be on your merry scary way. This worked for the demo but it seems highly unlikely for the complete game but, zombies stop coming after you in the Main Hall. Again this is highly unlikely to happen and zombies might chase you but we’re hoping that it’ll be safe till Marvin is recovering in the Main Hall. If you happen to find pallets while being chased by zombies, climb over one and move back to the furthest point to make sure the zombie can’t reach you. They will just stand there and you will be safe from them. This one is eternally funny if you find a pile of dead bodies on the floor make sure you run over them, the zombies will, however, trip over them, stumble and then start chasing you again which will give you ample time to run away. You can also block door by just standing behind one, this one has a varying degree of success so do not overly rely on this trick, but if you’re in luck this might just work for you. Wooden boards will help you throughout the game to block windows and stop those zombies who have no respect for privacy. Just board up a window and you will have successfully stopped a hungry undead creature from making a meal out of you. Another one with a varying degree of success is if you ground a zombie, you can literally stand on it’s back while it wails in failure and be safe. You can trigger a puzzle-solving animation to safeguard yourself, the game is riddled with puzzles, so it might not be so hard to find one and have a momentary peace. The zombies will wait for you though while you sherlock the puzzle without Watson by your side. Note: This is based off the Resident Evil 2 demo, so expect a few changes but the mostly the game is expected to not change that drastically. These are the few tips we have found to help you escape a zombie apocalypse, we’ll keep updating on this when additional details are released. Till then check our Resident Evil 2 Wiki Leaks, Walkthrough, Tips and Tricks only on Gamer Tweak.